CNC lathe programming example, in this programming example for X-axis diameter values are not used but Radius values are used to program. 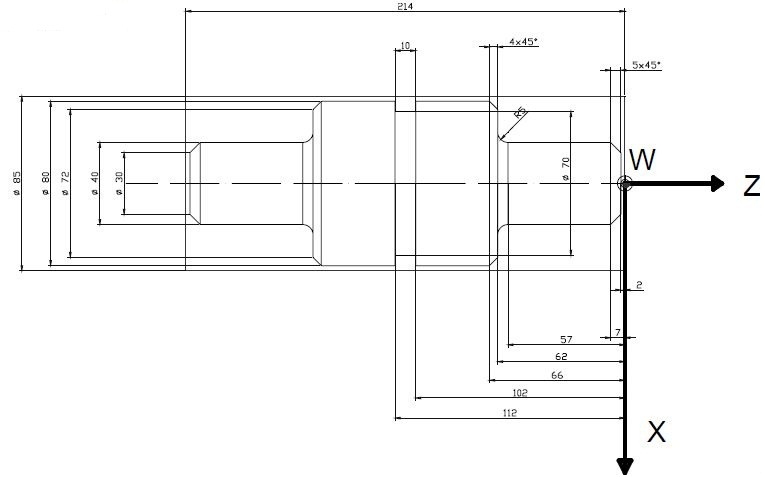 When in Radius mode/dimensioning the X-axis moves on a lathe will be the distance from the center. Thus a cut at X1 would result in a part that is 2mm in diameter. A full CNC programming example with ID/OD (Turning/Boring operations) for cnc machinists who work on a cnc lathe machine. A must to learn/practice for those who are learning cnc programming….